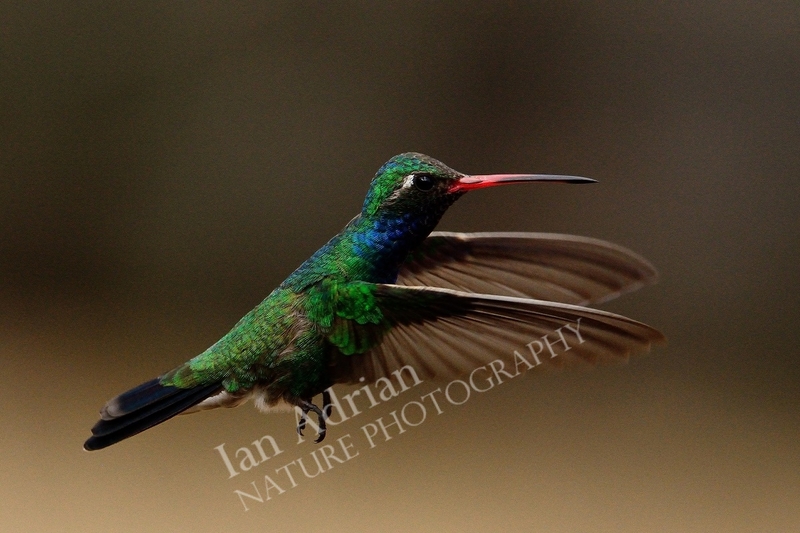 Some of the most spectacular birds to observe, hummingbirds can be found in practically any color of the rainbow. Their iridescent colors and lightning-fast movements make them extremely challenging, yet rewarding photography subjects. Arizona is home to more species than any other state in the US, species which are most heavily represented in this album. Manically searching for the next meal, hummingbirds only seem to rest when they're standing guard over a food source. Madera Canyon, AZ. This Rivoli's hummingbird (formerly known as the magnificent hummingbird) was kind enough to allow a few seconds for his head shot. Photo taken at Madera Canyon, AZ, USA. A male Anna's hummingbird, occupied by the never-ending search for nectar. Photo taken at Madera Canyon, AZ. 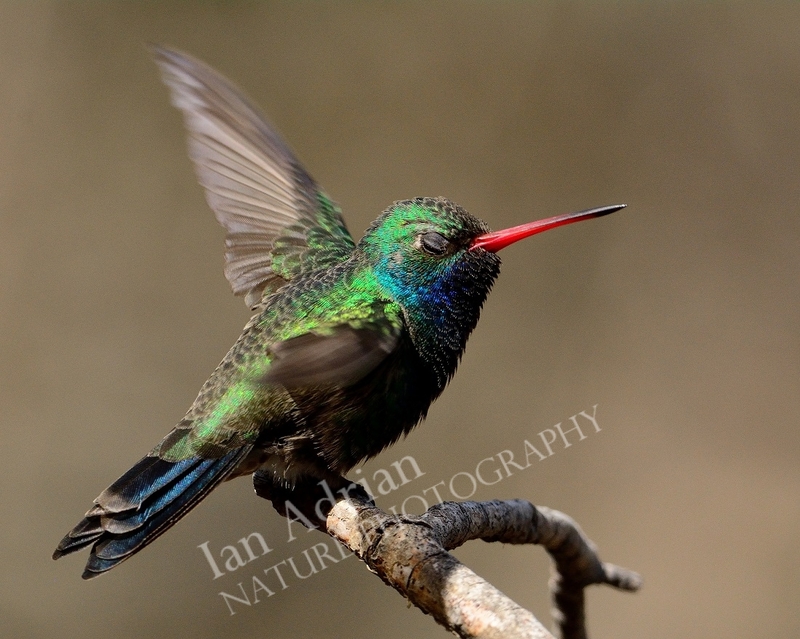 When bathed in bright sunlight, a broad-billed hummingbird's beautiful spectrum of colors are hard to overlook. Madera Canyon, AZ. When perched, this species really likes to stick it's beak in the air. Generally, not the most appealing photo-op, it actually served to enhance this shot. Madera Canyon, AZ.